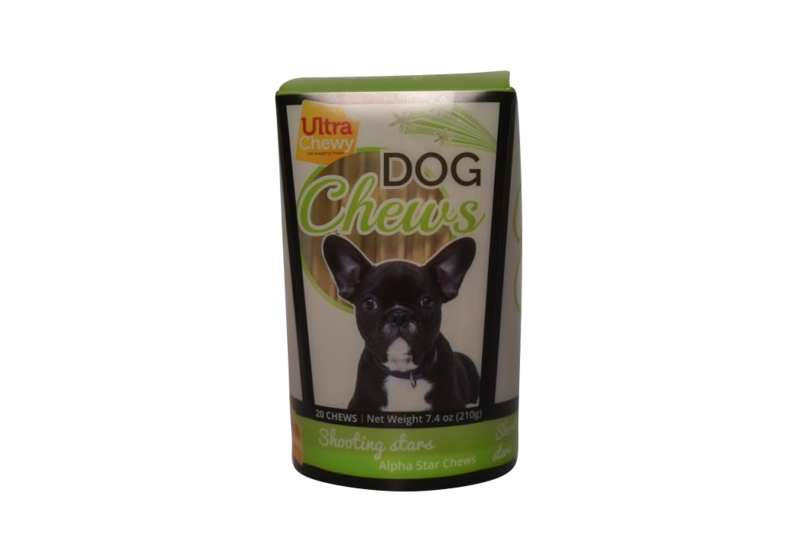 The long-lasting chews are highly digestible, with no splintering or mess. The chews are ideal for adult small to medium-sized dogs. They are packaged in a reusable, eco-friendly container that is dishwasher safe. Ingredients: Potato Flour, Rice Flour, Glycerin, Water sufficient for Processing, Powdered Cellulose, Tapioca Starch, Dried Brewer’s Yeast Digest, Titanium Dioxide, Citric Acid (A preservative), Vegetable Oil (Preserved with mixed tocopherols), Sodium Tripolyphosphate, Xanthan Gum, Potassium Sorbate (A Preservative), Salt, Sodium Propionate (A preservative).